It's time for the 6th annual Del Monte Go Bananas! Halloween Costume Giveaway. This year they are giving away 1,125 banana costumes in honor of their 125th anniversary. You can enter to win throughout the month of September. 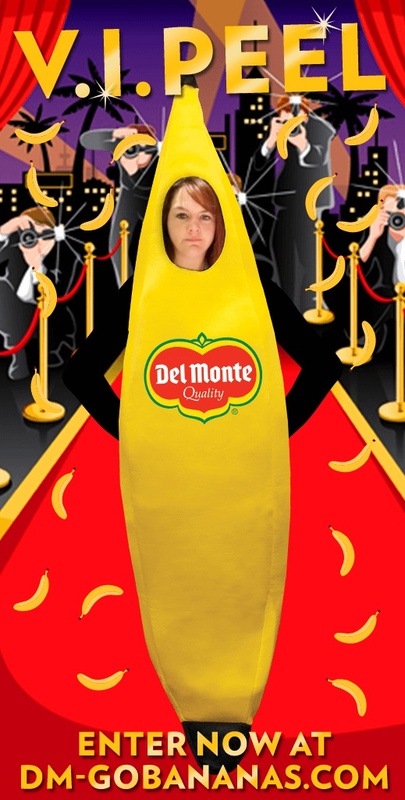 I entered and won a banana costume three years ago and would "go bananas" if I won again! They did something like this last year. How fun! I love it when they do this. I haven't won yet, but there's always hope!